English wine tasting @ Chapel Down - What's Katie Doing? For the last week of August I flitted around Europe. I had a friend’s wedding outside of Geneva in Switzerland, my little nephew’s birthday in Bath and then I decided to do a spa break in Kent for the remainder of the week. Why Kent? Well, English wine of course! This stuff is seriously good, so we purposely booked in Tenterden Kent, the home of Chapel Down. We only booked on the tour for Friday afternoon 2 days prior. They get very quickly booked up for all weekend tours and they only just squeezed us in for 1pm on Friday. 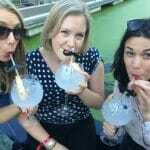 The tour costs £10 each and includes a tutored tasting of their wines at the end (the best bit!). 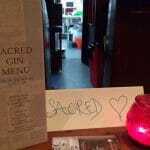 You can also do a self guided tour and then try before you buy at the shop if you can’t get booked on the guided tour. 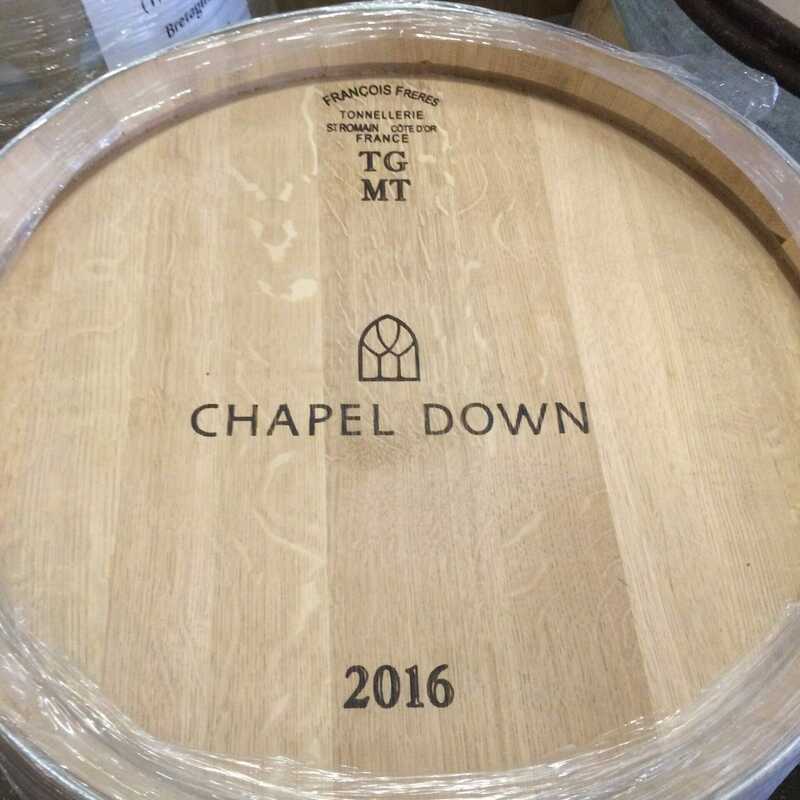 Chapel Down – welcome to the vineyard! 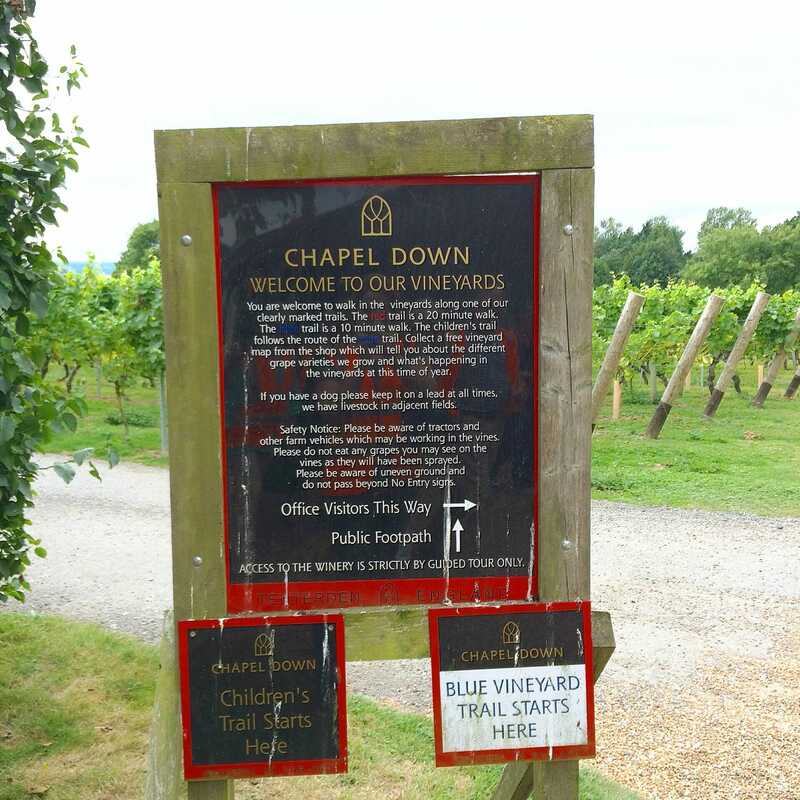 We started out walking among the oldest vines in the vineyard and learnt some more about the background of Chapel Down winery. 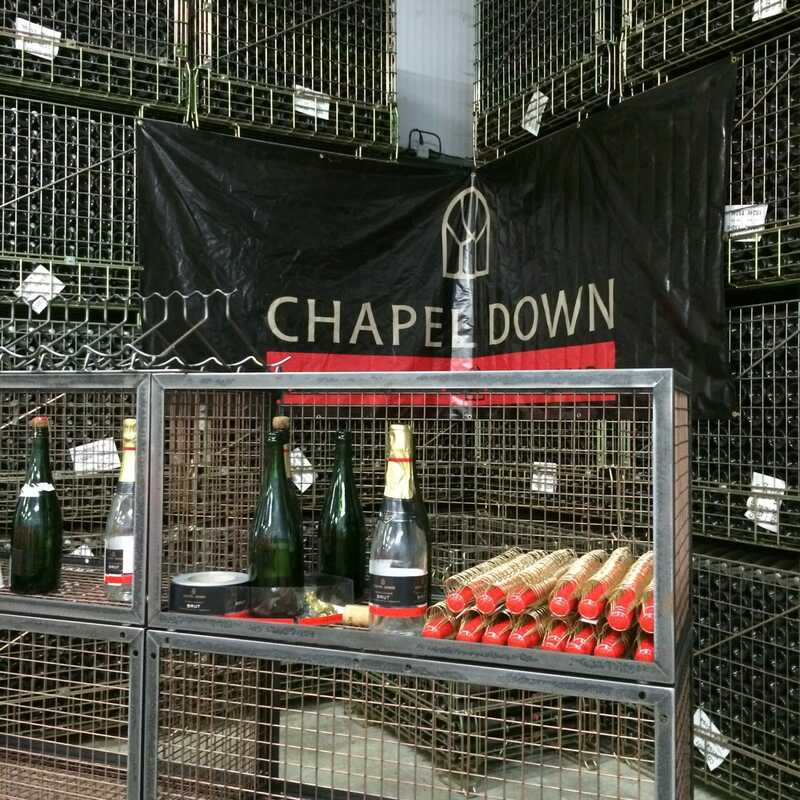 They make 1m bottles of wine a year, the UK total is 5m, so Chapel Down is pretty big, but nothing when you compare to Champagne, they make 500m bottles a year! So we are no where near the French in terms of volumes yet.. However when it comes to quality, this is where English wine excels. 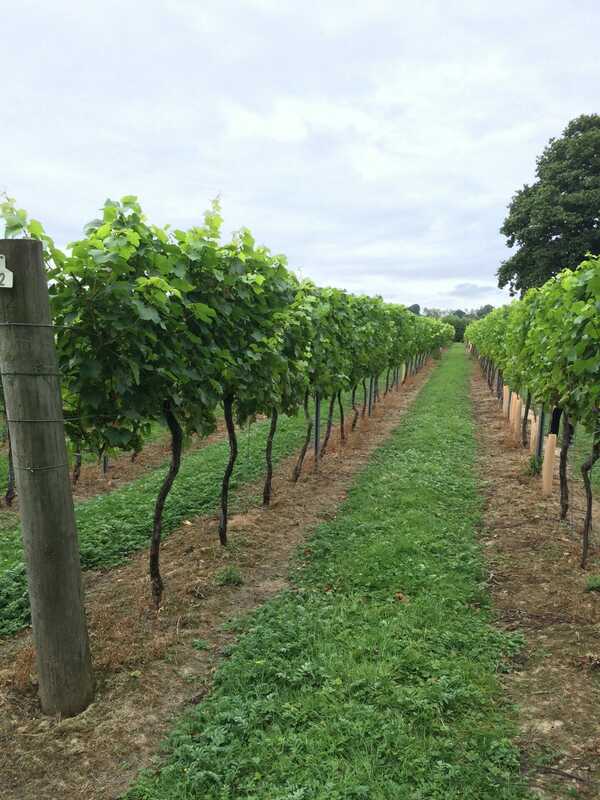 With the same chalk rock under the soil as the Champagne region, Kent has the perfect terroir (or land) for making white and sparkling wine. Now the French Champagne houses are investing in vineyards in Kent. For example Tattinger are planting.. their wine won’t be ready for at least 10 years though! The vines we started in were the original ones planted in 1982, using Bacchus grapes. These are a German variety and are a good choice due to the similarity between the UK and German climates. Now that the UK is hotter (and I’m writing this in the hottest September since the 1970’s! 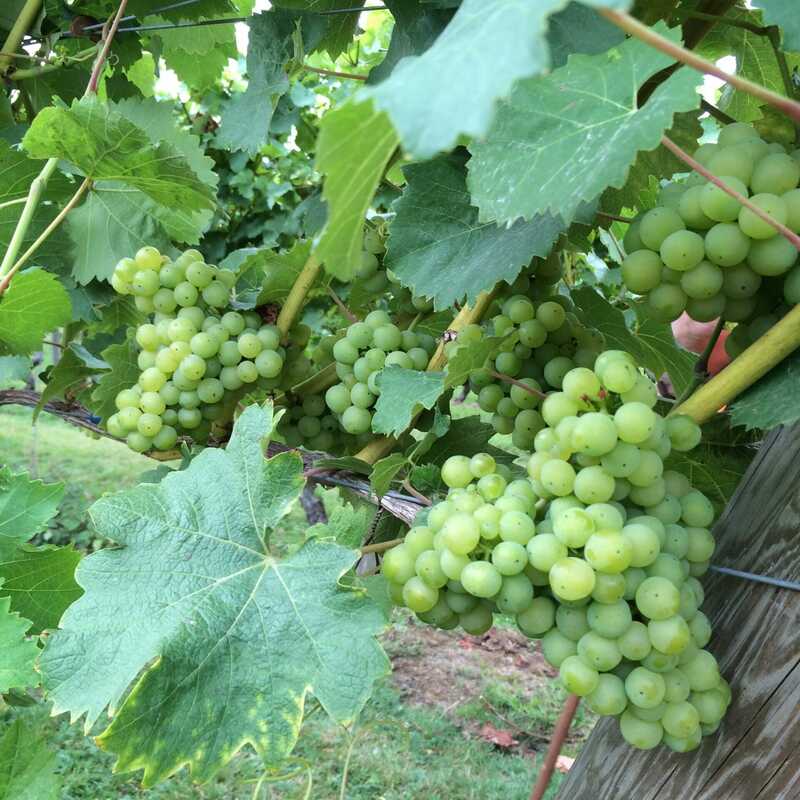 ), it can support newer varieties like Chardonnay. The original vines will be gradually replaced/replanted as the yield of old vines becomes lower after a certain age (c.50 years). 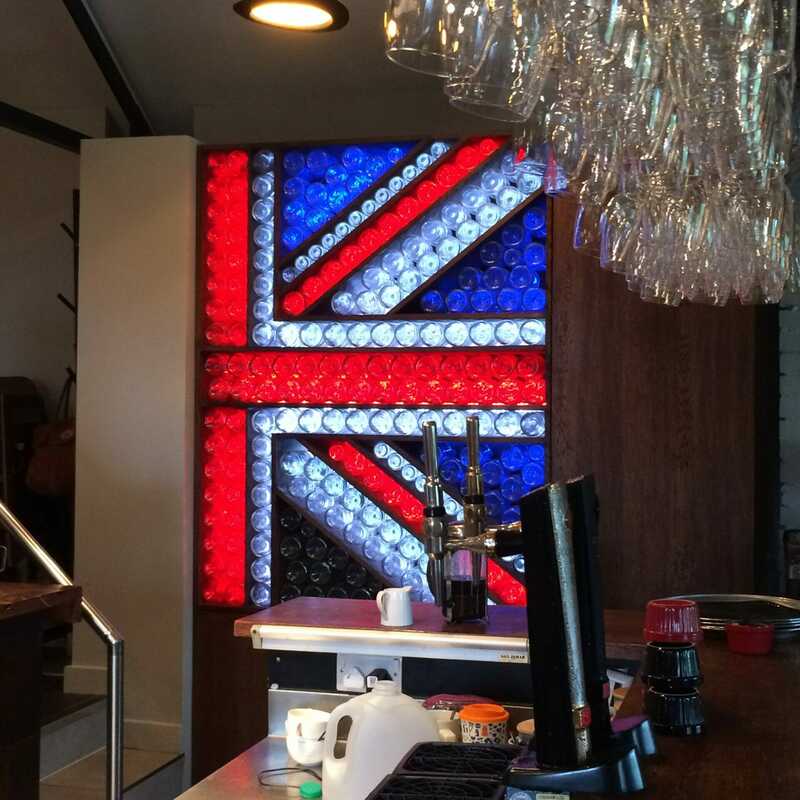 A note on terminology: English wine is made from grapes grown in England, British wine is just made in Britain, the grapes can be sourced from anywhere in the world… so go English to support local! Of all the English wine made, 95% stays in the UK and of the remaining 5%, 95% of that goes to Japan. Very ordered rows of Chardonnay grapes. They are kept off the floor to get around the pest problem and also make it easier for the humans hand picking! They estimate that one bottle of wine = one vine with 16 bunches of grapes. The vines are self pollinating and need 100 days of growth (so that weather really is key!). Harvest time is usually October, with grapes destined for dessert wine harvested later to maximise the sugar content. When the grapes are picked they run 2 pressings to get the juice out. The first is called curvee in France, or the free run over here. This is used for the single variety and sparkling wine. The second pressing gets all the remaining juices out and is used in the blended wine. 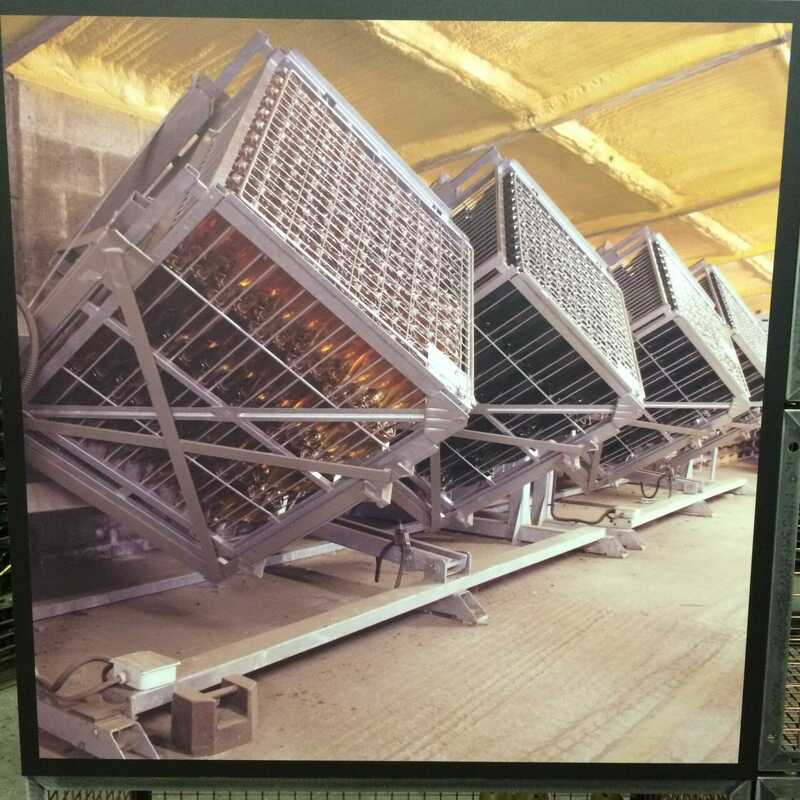 Red wine is treated slightly differently – the stems are taken out and the grapes lightly crushed, they go into a tray and are pumped into a huge metal vat with the skins. It’s the skin that provides the colour, as the flesh of ‘red’ grapes can be white. The leftover skins from the white wine, called the ‘must’ are used for compost. Other regions do different things with them, e.g. they make grappa in Italy! To make the sparkling wine Chapel Down use the traditional method employed in Champagne, they just can’t call it Champagne! The sparkles come from a second fermentation done in the bottle (Cava and Prosecco do this differently). They add yeast and sugar to the bottle. For a non vintage wine it has minimum of 18 months in the bottle, Vintage will have a minimum of 4 years. and the modern way = all automated and done in a fraction of the time! To get rid of the lees they freeze just the neck of the bottle and the ice cap comes out when the bottles are uncapped. They are then corked using the traditional corks after being ‘dosed’ with grape concentrate containing natural sugars, which finalises how sweet or dry the wine is. As corks are 30 mm wide and the bottle neck only 18mm they steam the Portugese cork before forcing into the bottle. The bottles are then capped with the traditional wire cage and the ribbon, sticker and label added on top. We finally made it back to the shop for the highlight of the tour – the tasting! Check the colour – hold at a 45 degree angle against a white background. White wine gets darker with age and red wine looses colour as it ages. You are meant to check the colour of the wine against a white background, this is where the tasting notes come in handy! 2. Aroma – swirl the wine around the glass to release the aromas and sniff! 4. 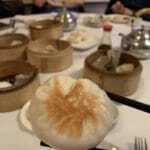 Finish – i.e. what lingers in your mouth after swallowing. In short – I liked it! 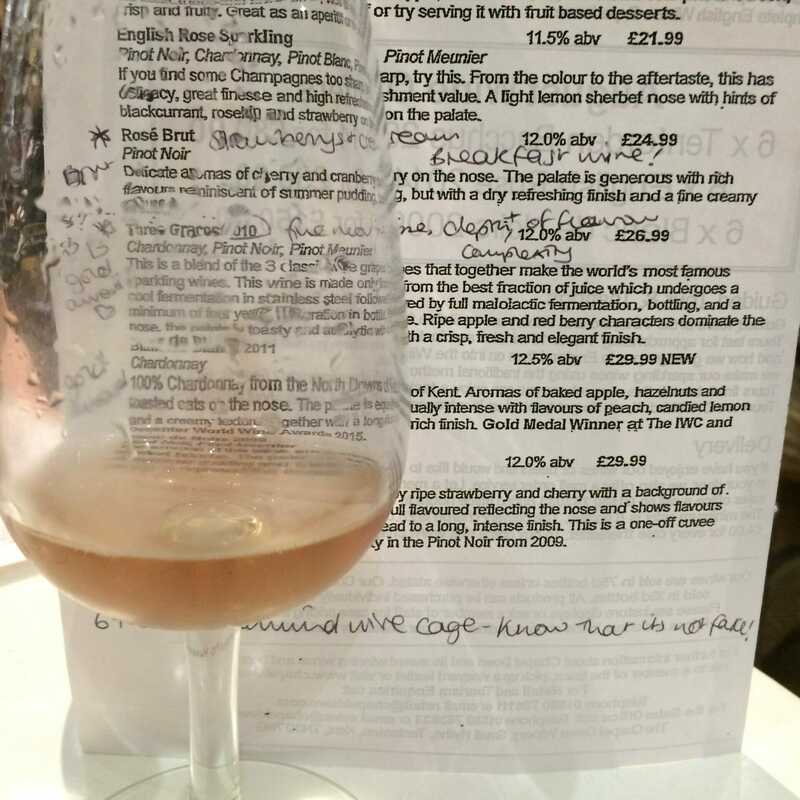 We then tried the Tenterden Bacchus Reserve 2014 and I wasn’t as impressed by the Bacchus as much as I have been by others before (perhaps my palate has changed?). This is made from the oldest vines in the vineyard. Kit’s Coty Estate Chardonnay 2013 was up next. The grapes for this are grown up near Maidstone. As it was aged in French oak for 9 months it had a yellower colour and was smooth, creamy and would go well with food. 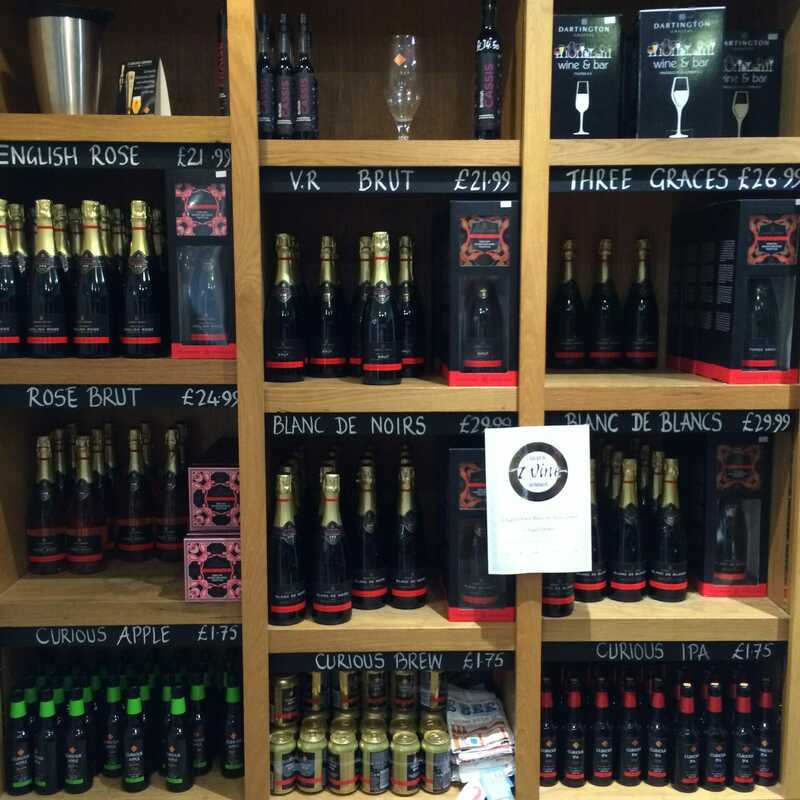 We then worked our way through the sparkling wines, starting with the Vintage Reserve Brut. This was dry and appley, an easy drinking wine with a light fizz. As a blend of grapes it represents the vineyard. As we went down the list my notes got more… interesting! We finished up the sparkling wine with the Three Graces 2010. This won a gold award and fully deserved it! I love the depth and complexity of the flavour and the fineness of the fizz was so delicate. I bought a bottle of this to enjoy at home…. From the reds we tasted the Union Red 2014 – which I found very easy to drink. This is a blend of grapes to give colour and depth of flavour. This is the heaviest of the English reds, as we don’t currently get enough heat and light for robust flavours to develop in the grapes. We tried the Pinot Noir 2013 also and as you can see above it’s really thin. Pale in colour and very light in flavour. Perfect maybe chilled in summer, but not your traditional red. 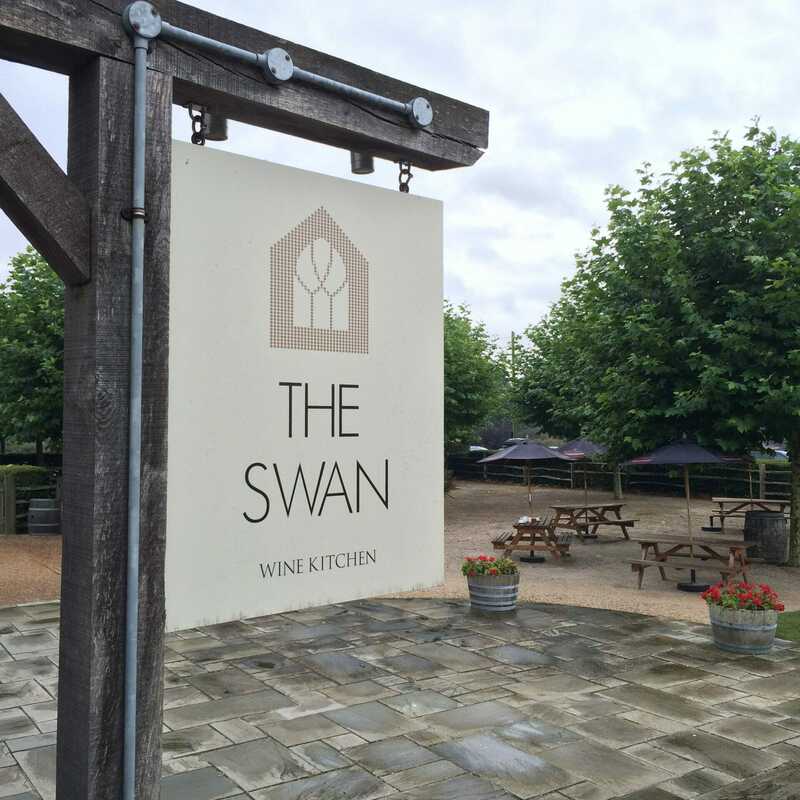 We soaked up some of the wine with bar snacks at The Swan restaurant. 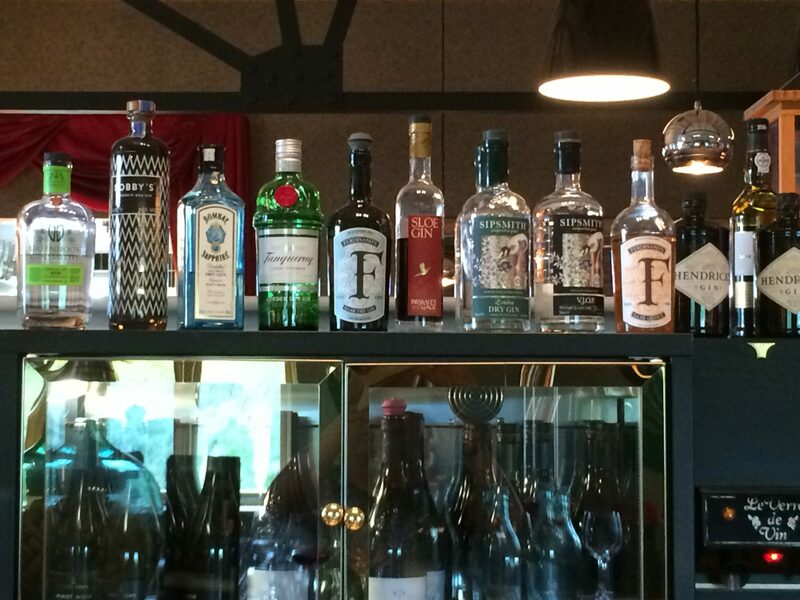 The gin selection at the bar was pretty cool too! Chapel Down don’t just stock their own products, they use the shop as a showcase for other local products. 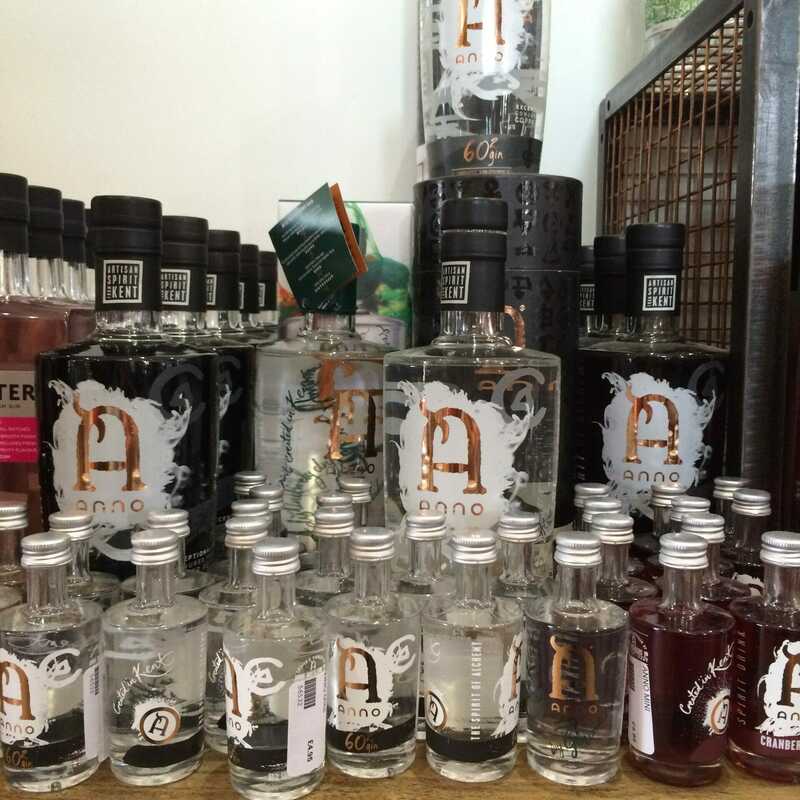 Amongst the cheese, crackers and jams I found the gins! 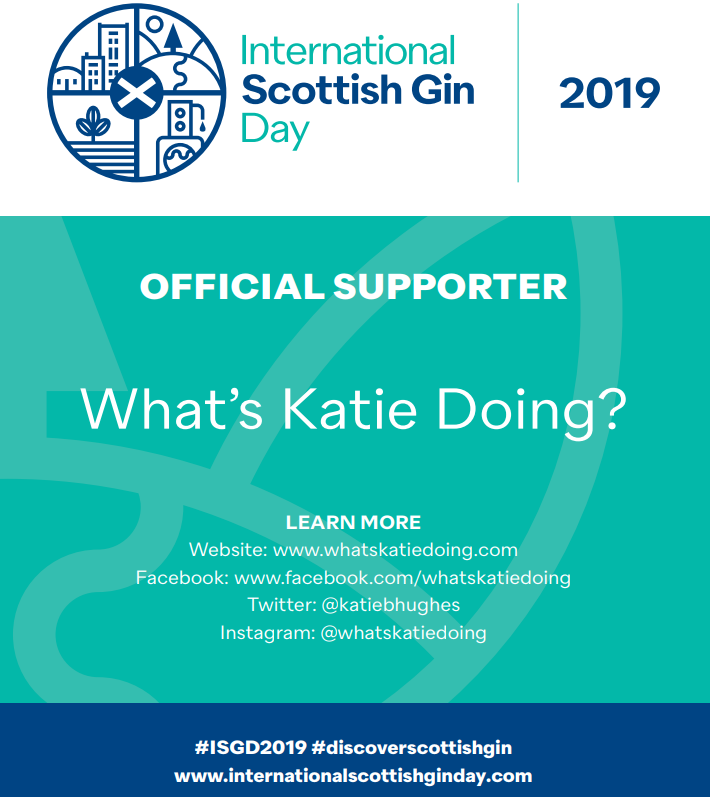 I even got to try some of the local gin. Anno I have tried before, but not their Navy strength version. Very smooth and deceptive for how strong it was.. 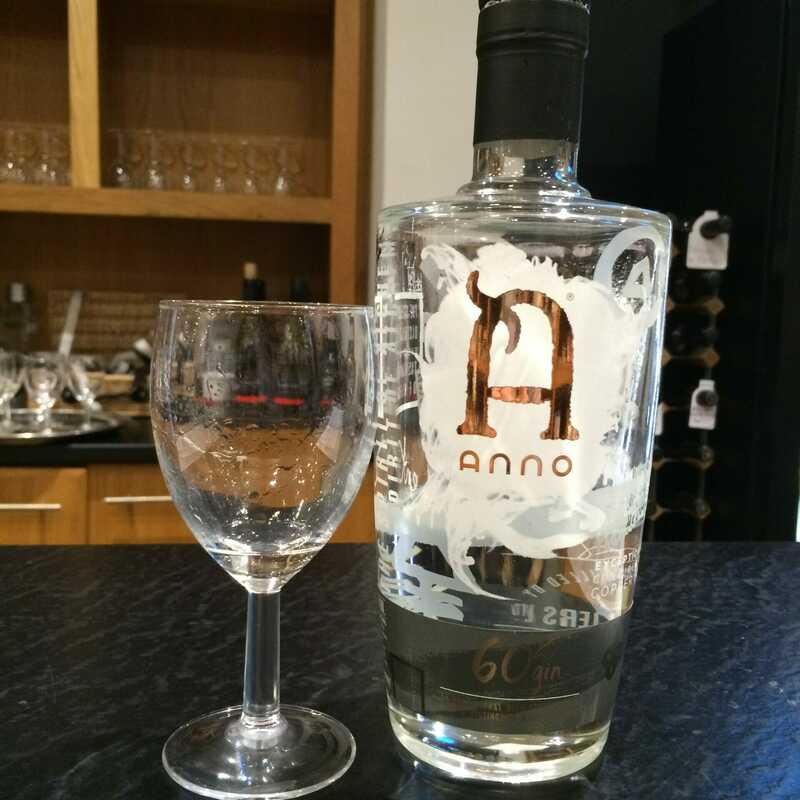 The full Anno range and their mini, handbag sized, bottles! 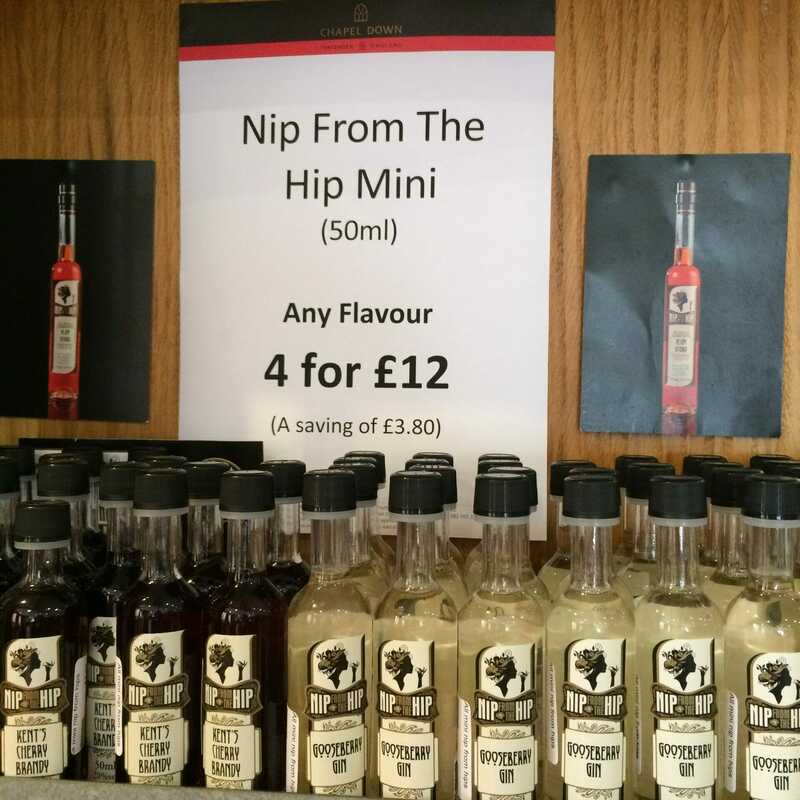 Some of the other local flavoured liqueurs, but I didn’t take advantage of the deal, I saved myself for the wine! 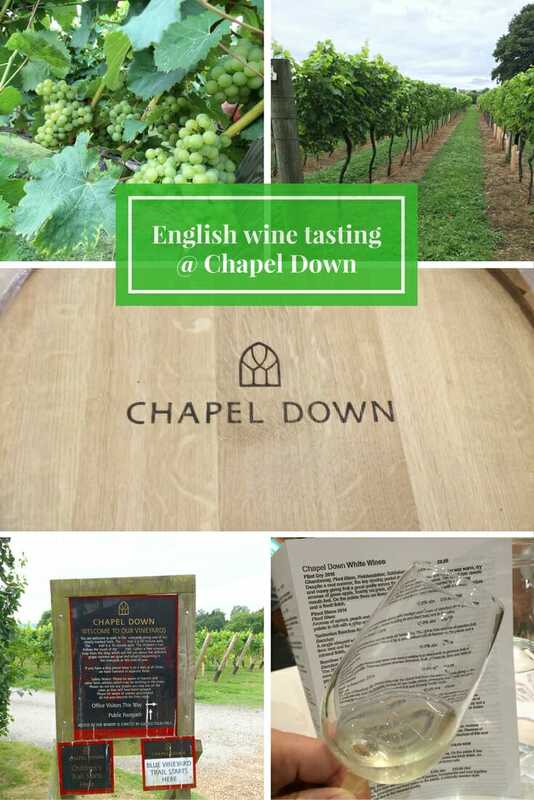 Chapel Down English wines are fantastic! 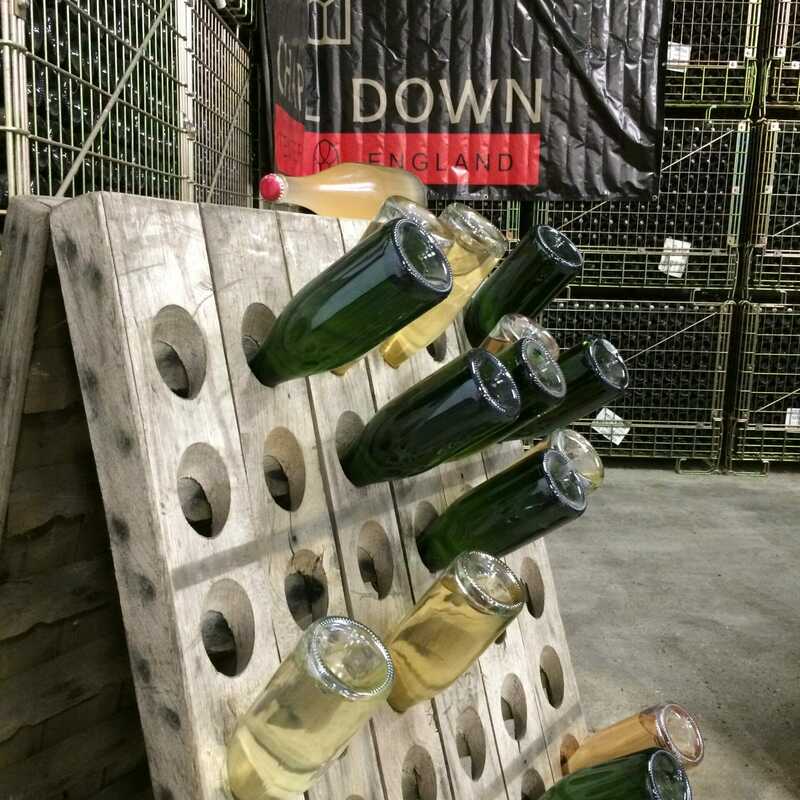 I went to a pairing class, and was blown away by the taste and history of the wines. I fell in love with the Rose BrutB Great review! 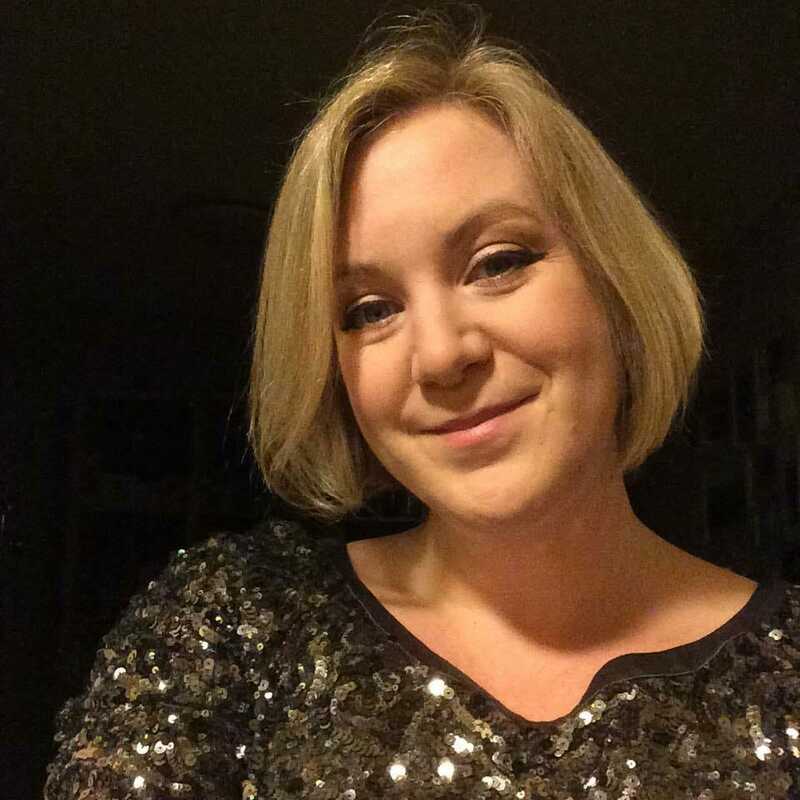 Thanks Eulanda – the Rose was the first of their wines I tried years ago and I loved it! But it was fantastic to see the vineyard and try across their own range of wines! 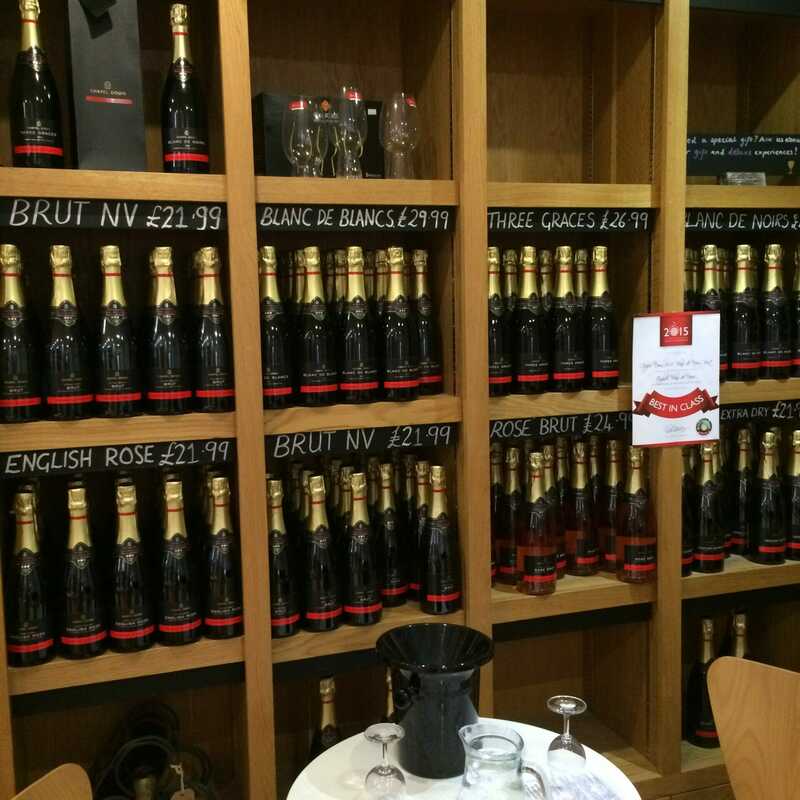 Wow – it would have never occurred to me to go to England for wine. Never had or heard of an English wine.. Just learned something new – thanks! Glad to be of service Jurga – definitely worth trying the English sparkling wine, it rivals Champagne! Thanks for the recommendation. I have not had any English wines, but I have seen some wineries. Glad to hear you enjoyed it. 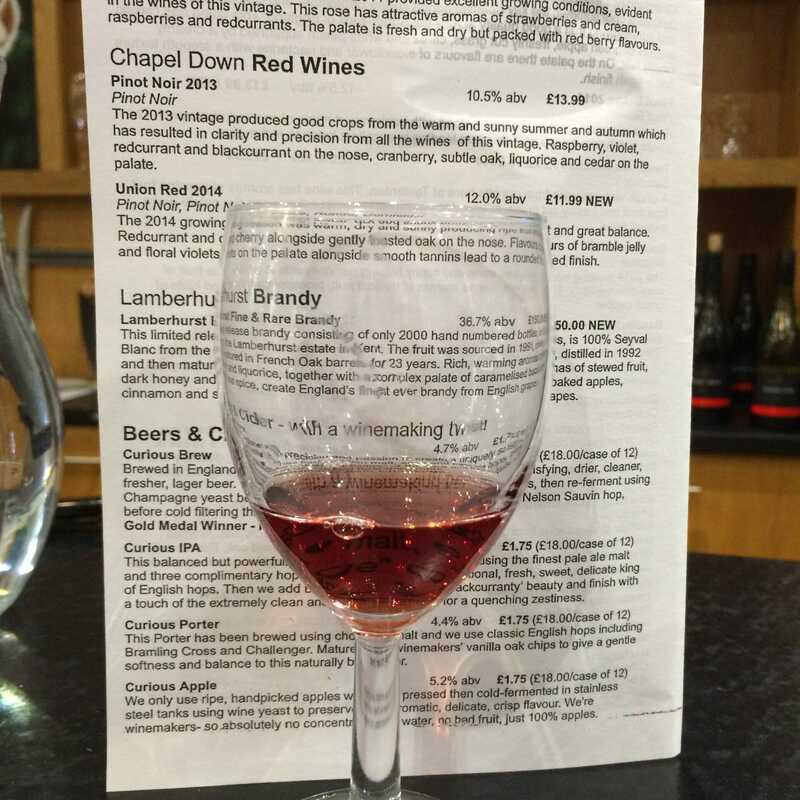 I love doing wine tastings so will definitely keep this in mind when I visit Kent. 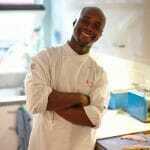 Excellent Anisa – I would recommend staying at the London Beach spa hotel if you are in that area! I’ve never heard anyone recommend English wines before. Sounds like it is definitely worth a try! 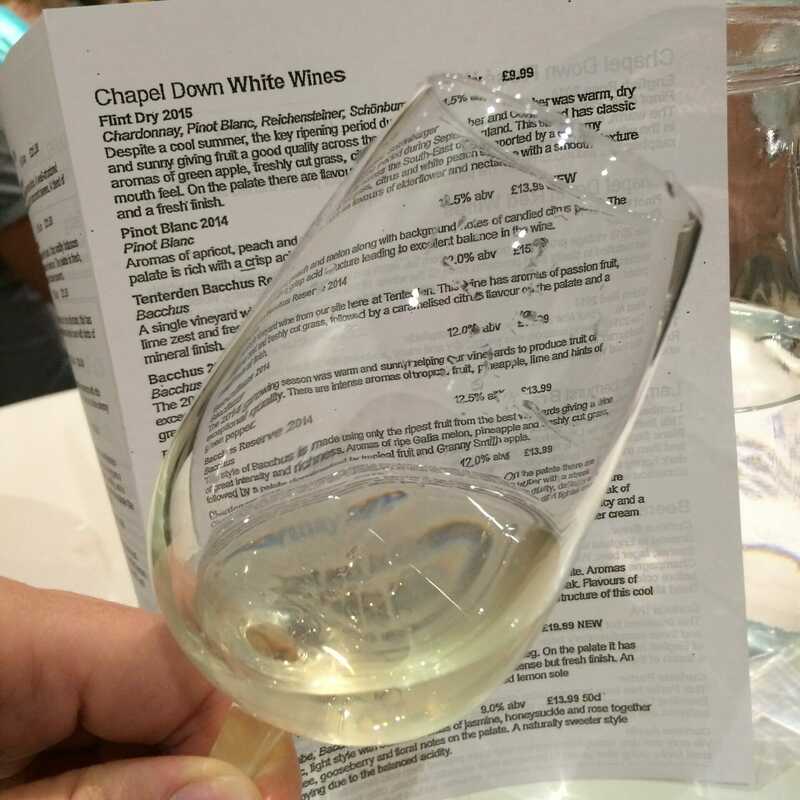 I’ve tried wines from all over the world and most of them haven’t been award winning like Chapel Down Stephanie – definitely worth a try! I know Megan it’s really interesting – they make it sound so easy until you see the equipment though! So happy to hear that you had a good experience. 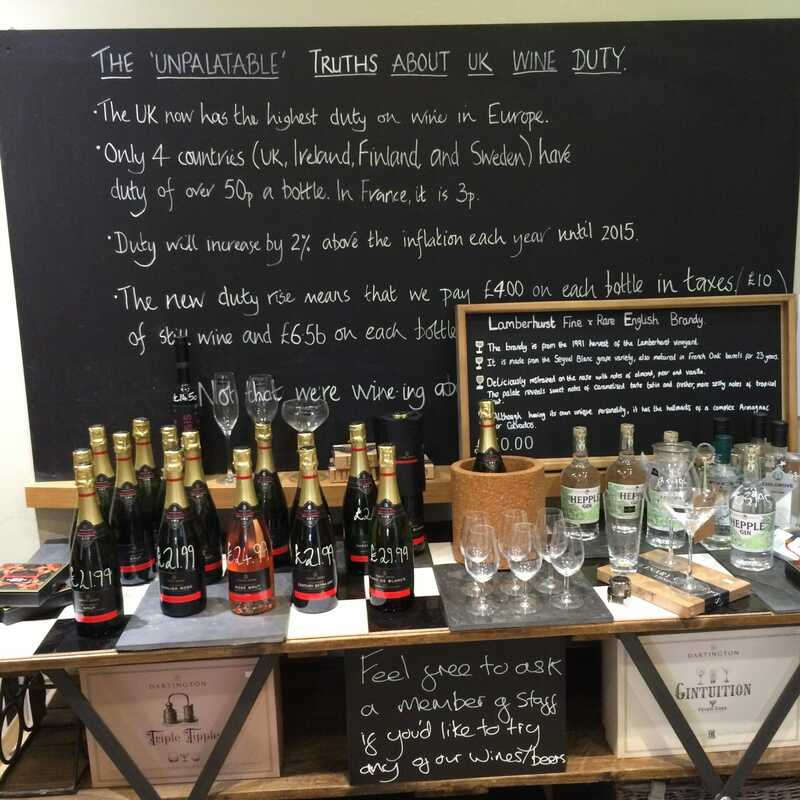 We are London-based wine lovers and we try wine everywhere we travel, but I have been hesitant about English wine, unsure if it’s worth going to the vineyards. Your post has made me add it to my list, though! Kelly you should definitely add it to your list of places to go, this wine is award winning compared against Champagnes! I love the English wine step by step tutorial. Love that it also includes the history. Looked like such a fine time. Thanks Rirhandzu, it quickly went downhill after that though lol! I’ve been to the UL many times and I never once thought about wine tasting. I guess I should the next time I’m there so that I can compare. I love French and Argentinian wine and I live near California Wine Country so I do love my vino! Definitely try the sparkling wine Jaye!